As I may have mentioned (or not), I haven't been working anywhere near the number of hours that I had been working now that we are actually up to staff in our dispatch center - knock on wood or any reasonable facsimile! I've picked up an extra shift or two here or there but right now 40 hours a week is the norm and even though my paycheck is decidedly lighter, I'm rather enjoying a standard work week and having more time to do things other than tell ambulance crews where to go and sometimes what to do when they get there! I believe I also mentioned a couple times that work had been totally stressing me out for awhile there but I contribute most of that to the fact that I was totally stressed about so many other things that work couldn't help but be added to the mix. As much as I try, it's not possible to leave all of the personal baggage in the hall by my locker and some of it invariably gets carted into the dispatch center with me. I wish that weren't the case but alas, I'm only human. All that said, it was quite the very pleasant surprise when I went into work this past Tuesday afternoon that not only was there some of Renee's extremely delicious chocolate-chip banana bread waiting for me but my supervisor handed me something that I really wasn't expecting - the award for Employee of the Month for June! I have always thought that it's pretty darned cool that I work for a company that recognizes its employees even though there are those who think the program is in need of a revamp (a sentiment that I have shared myself from time to time as even though it is a good program, I think it has the potential to be great). I sure the heck don't ever remember getting any sort of recognition when I worked for the Cop Shop - with the exception of the much-appreciated thank you's from the guys on the street from time to time - so working for a company that not only appreciates its employees but let's them know it does is really a very nice thing. 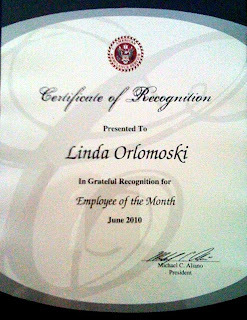 What makes this recent award surprising is that six years ago I was awarded Employee of the Month in July of 2004 - an award that put me in the running for Employee of the Year which I was very honored to receive in January of 2005. With the title came a really nice plaque, a parking space close to the door, and a lot of ribbing from my fellow dispatchers as well as the realization that I had pretty much hit the pinnacle of my success with the company after only my first year of employment with them. I'm pretty sure that no one has ever gotten Employee of the Year twice and I was also told that as a former Employee of the Year, chances were good I wasn't going to get Employee of the Month again as it wouldn't be fair to the other employees if the same people got it over and over again. Logical? Yes. Depressing? Yes. Less of an incentive to do a good job? No. Whether I was ever going to get another award from the company or not, I have this thing called a work ethic that was handed down to me by my parents who got it from their parents who got it from ... well, you know where I'm going! I was taught that if you're going to do something then do it to the best of your ability no matter what because even if no one else ever notices, it's a matter of personal pride and at the end of the day I still have to answer to myself. All that said, though, it's still really nice when someone says "Hey, nice job!" or "We appreciate the effort you've put in!" as like I said above, I'm only human and we humans like the equivalent of a good head scritch every once in awhile ourselves. I'm going to consider my recent award a very nice head scritch! I just find it kind of funny that I got the award for the month when I took a vacation! I wonder if they're trying to tell me something?? Yay Linda! Congratulations for a job well done!! Congratulations, Linda! I know you certainly deserve it! Actually, I think for all the double shifts you put in they should make you Queen of the Company! I just think that's awesome. Sometimes one just needs that "atta girl" to let them know they are in the right place and doing the right thing. 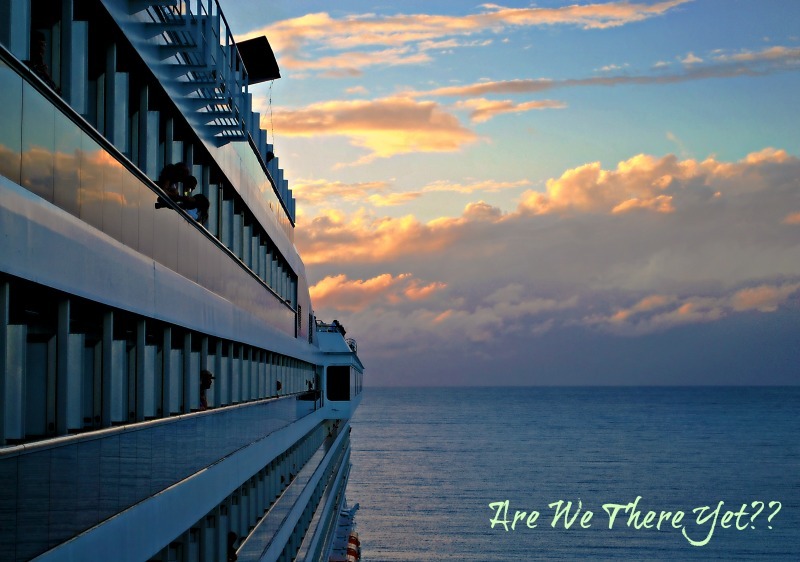 Give yourself a pat on the back, and treat yourself to something nice, 'cause you rock! Congratulations on the award. You do work a lot of overtime and even though you got it during a month you were on vacation I'm guessing it's because you weren't there to do that overtime and they missed that. How about that for a reason? It's always nice to get a pat on the back so good on your employers and good on you gal! congratulation on a well deserved award. Dispatching is very stressful and hard work. The thanks you get are meat to help you continue doing an excellent job for the crews, company and the public who depend on you. Well done, Linda...very well deserved. By the way, one of my jobs in my company is to collate and print commendation certificates for emplotees when customers tell us they have done well. 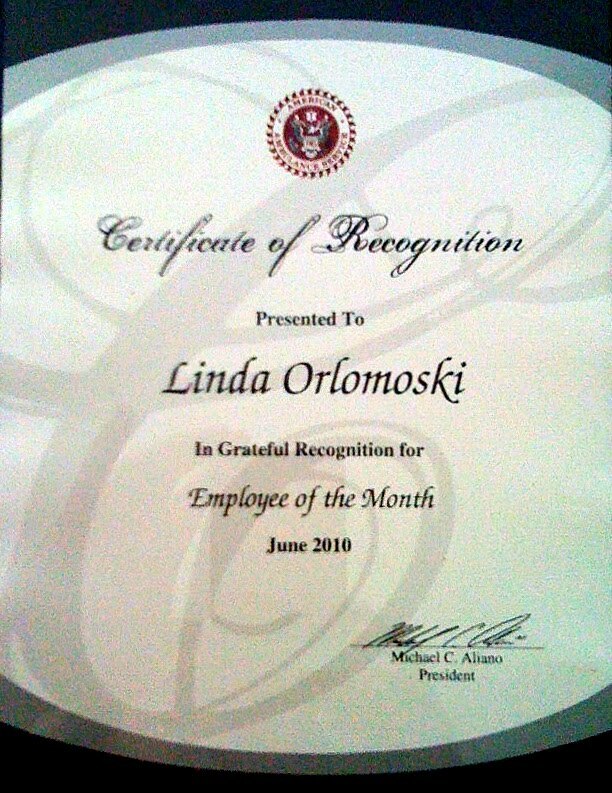 good job Linda, I thank all employers should recognize special people for their performance. Congratulations, Linda! Well-deserved, indeed. You've consistently come up as a "favorite" of the road crews for as long as I can remember. Keep up the good work. That's fantastic Linda! Congratulations to you! It's always great to be recognized for a job repeatedly well done. Congrats! That work ethic pays off in many ways. I'm just glad to hear you quit with all that dang it! !